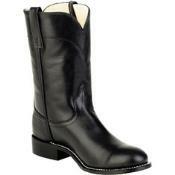 Roper boots are the traditional cowboy boots but lot more sleek and sophisticated in appearance. 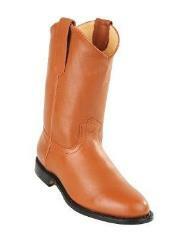 Roper cowboy boots are available in a range of adorable colors and textures. 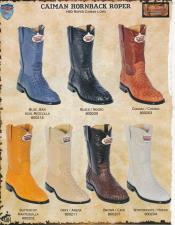 You can choose from shark, stingray, ostrich and elephant leather boots. 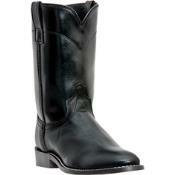 Roper boots for men can be a perfect choice for dress as also casual wear. 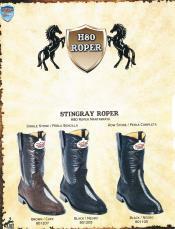 Roper boots come in a variety of shaft styles, vamp colors, and toe and heel options to fulfill any customer's taste and preference. 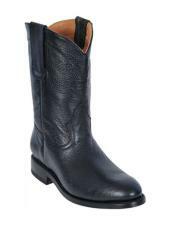 If you are keen on buying a distinctly different Roper boot design, opt for the Black Jack European goat Roper. It offers a pleasant sheen that will match any outfit admirably well. 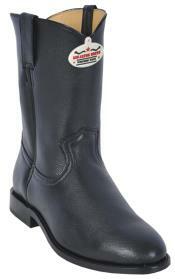 The Lizard Roper boots are fanciful but offer subtle appearance. They are as unique as they are fashionable. 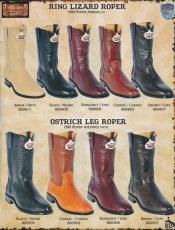 You can experience the unearthly feel wearing ostrich Roper leg boots. 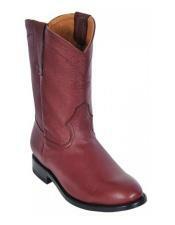 These have an exceptional texture that will draw instant attention of anyone that knows Roper boots. The Bull Frog Ropers and Hippo Black Jacks blend rare and natural leathers in a fascinating design. 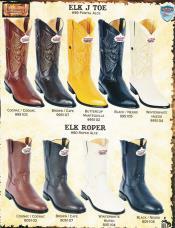 You can view the range of Roper boots - from traditional brown to bold Buttercup shades - and buy the pair that fits your taste and lifestyle. 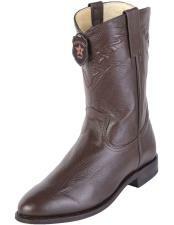 Roper boots have a fascinating history. The low heel of a Roper boot made it easier for calf ropers to dismount from their horse without spraining an ankle. Records reveal that George Strait was presumably one of the earliest generations of ropers to use ropers instead of their conventional high heeled western boots. 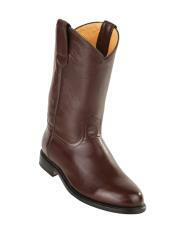 Roper boots have been rampantly used on the dancing floors for at least three decades now. The relatively economical pricing could have also been one more reason for its popularity. Today, there are performance soles for different events - work soles for outdoor surfaces and leather soles for inside dancehalls. The more you invest in your Roper boots, the better the quality and workmanship. 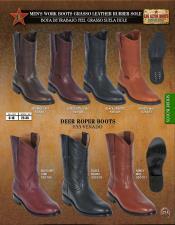 If you are familiar with Roper boots, you understand the true value that handcrafted Roper mens boots can offer. If you are new to Roper boots, you must wear them to understand how comfortable and proud you feel.